When a cookbook goes beyond the “template” and gets creative, it’s refreshing. This is exactly what Curtis Stone has done in his new cookbook What’s For Dinner. Dividing the recipes into different days of the week makes it easy to plan and decide what to make for dinner. If you follow the book, you’re basically set for at least ten weeks – that means ten weeks of unique delicious dinners. How much easier can planning your dinners get? It’s always frustrating when you look at recipes and realize that you don’t know what half the ingredients are, let alone have them handy in your kitchen. But because Curtis Stone seems to be your average down-to-earth all-Australian guy, who understands good food, as well as how valuable time is, you won’t have this issue. Easy to read, organized, visually appealing…all these things will make What’s for Dinner not just another cookbook on your bookshelf. 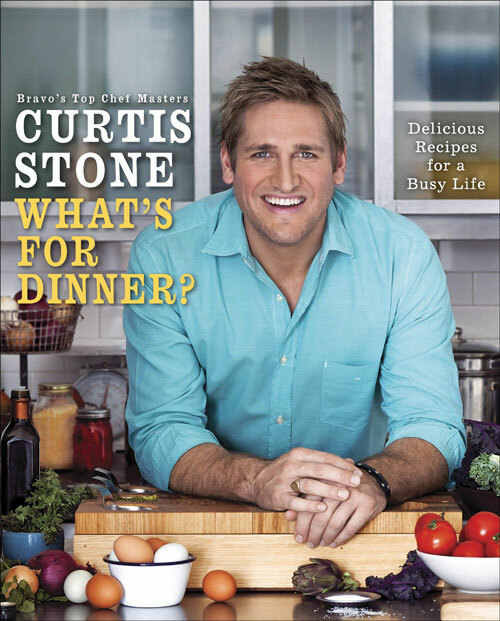 Along with food recipes, Curtis Stone also has included drink recipes. How can you not love that? So whether you’re in the mood for a Tipsy Palmer or a Mango-Pineapple Smoothie, every evening will be an entertaining one, as you experiment with one of his recipes. Tonight, I’m going to try the Cauliflower and Spinach Dal. Surprisingly, even for an Indian dish, the ingredients seem remarkably familiar.